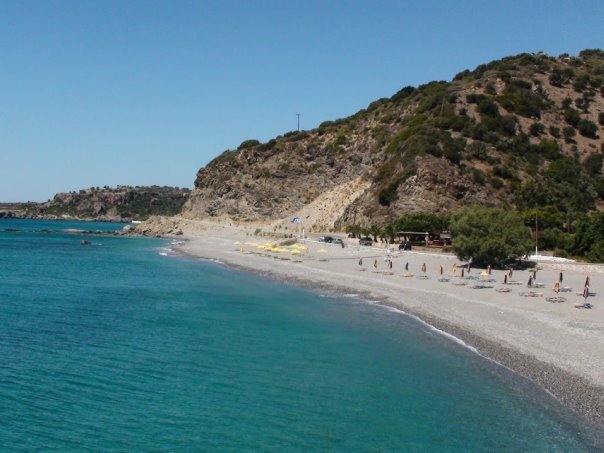 Korakas or Rodakino beach is located 45km south east of Rethymno town, 10km west of Plakias resort and 13km east of Frangokastello. 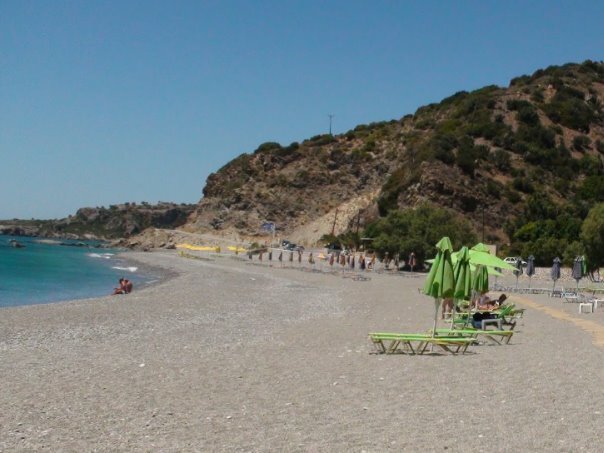 The wide and long Korakas beach features sand and small grayish pebbles. It has clear azure waters and marvellous cavernous rocks in its east end. Umbrellas and sunbeds, showers, cafes, snack, taverns, fish taverns, accommodation. Rodakino is a quiet and traditional village, built on both sides of a gorge that runs across mountain Kryoneritis. The gorge divides the village into two, the Ano (high) Rodakino and Kato (low) Rodakino. 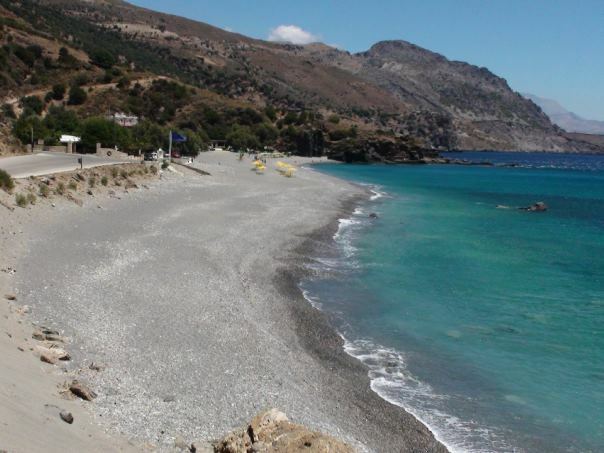 From Kato Rodakino there is a road leading to the wonderful beaches of the area which lie in the Bay of Korakas (i.e. crow). Rodakino is accessible with daily public buses from Rethymno town. 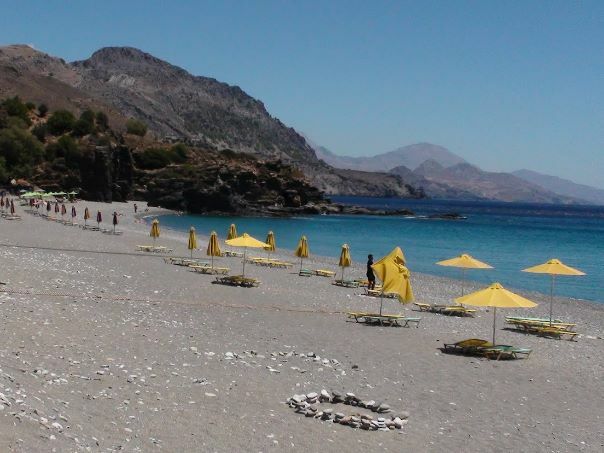 The beach of Korakas is about 2km southern. If you choose to drive from Rethymno town, follow the provincial road Melambon-Agias Galinis to the south and then the signs to Rodakino-Selia-Chora Sfakion.